Growing marketable basil with today’s LED lighting in the greenhouse, or as the sole lighting source, is an effective, productive and energy-efficient lighting solution. 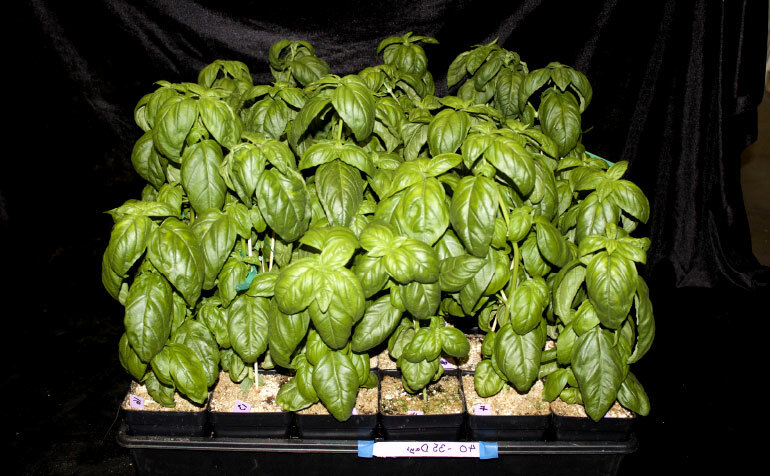 In this study, we examine the effects of varying light ratios on basil plants in using LEDs at the sole light source. The LED fixtures had independently controlled color spectrums and allowed for growth under 5 different light treatments. Results gave distinct differences in plant morphology, flavor and flowering. By exploring the various ratios of blue, white and red light on basil growth, we hope to inform growers on the use of programmable LED light spectrums to steer plant growth and flavor.